The second round of the MRF FMSCI National Racing Championship got off to a good start for former champion Karthik Tharani. He put in a strong performance, leading the race from pole all the way till the chequered flag fell. Despite the fact that Anindith Reddy tried very hard to keep up with him, Tharani kept calm and managed to win the race. Third place went to Raghul Rangasamy. The newly revamped Formula LGB 1300 class saw Prashanth K of Wallace sports win the Championship class. Rithvik Thomas, also of Wallace Sports, won the Rookie class. In the Saloon category, that saw 25 cars take to the grid across three classes - Indian Junior Touring Cars, Super Stock and Esteem Cup - it was Narendran of RAD Racing who took victory. 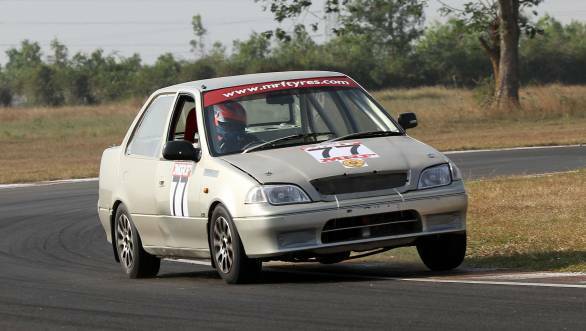 Finishing second was Anant Pithawalla of Team N1, while Varun Anekar of Race Concepts finished third. Anekar was the winner of the Super Stock class, while Himam KP of DTS Racing won the IJTC class. 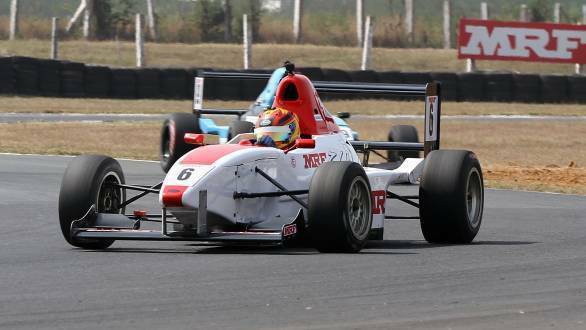 On the second day of racing, it was Sandeep Kumar who found himself on pole in the MRF 1600 class, thanks to the reverse grid. He drove a perfect race to finish first, while Rangasamy had to settle for second place. Karthik Tharani who won the first 1600 race of the weekend finished third. In the Formula LGB 1300 category DTS Racing's Arya Singh won the race, ahead of Momentum Motor Sports' Bhushan Thareja, and team-mate Arun Showry. The finishing order meant that the three were the winners, in that order, in both the Championship class as well as the Rookie class. Once again in the Saloon car category, it was RAD Racing's Narendran who took victory. He was categorised as the first place finisher in the Esteem Cup. While Hisham KP topped the second IJTC race, and Anekar finished first in the Super Stock class.